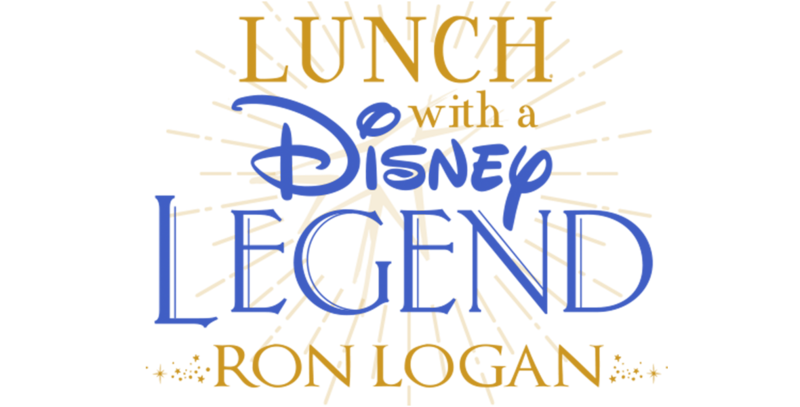 Sit down for an intimate lunch with Disney Legend Ron Logan inside a private dining room at Disney’s BoardWalk Inn conference center at Walt Disney World. Ron Logan began his Disney career at Disneyland as a trumpet player, and he also played with the fanfare trumpets as part of the Disney-produced pageantry for the 1960 Winter Olympics in Squaw Valley, California. In 1978, Ron moved to Florida to become Walt Disney World music director, serving various roles on both coasts until 1987, when he was promoted to vice president of creative show development for all of Walt Disney Attractions. In his last role at Disney, Ron was executive vice president, executive producer, for Walt Disney Entertainment. He was responsible for creating, casting, and producing all live entertainment products for The Walt Disney Company. He produced all live entertainment shows for the Disney Parks worldwide, five Super Bowl halftime shows, and served as the first President & Founder of Disney Theatrical Productions, which produced Disney’s Beauty and the Beast—A New Musical on Broadway and around the world. Ron was named a Disney Legend in 2007. On Friday, October 19, a limited number of D23 Gold Members will be treated to an intimate, three-course luncheon with Ron in a private dining space inside Disney’s BoardWalk Inn conference center at Walt Disney World Resort. During this exclusive event, D23 Members will have the chance to celebrate Ron’s legendary career. Plus, a very limited number of tickets will be available for guests to dine with Ron at the Disney Legend Table. The experience begins at 11:30 a.m. and will last approximately two hours. Check-in will begin at 11:15 a.m. at Disney’s BoardWalk Inn at Walt Disney World. Please do not arrive before 11:15 a.m.
Due to the nature of this experience, all attendees must be at least 16 years of age or older to partake in this D23 event. Video or audio recording of any kind will not be permitted during the luncheon. PLEASE BE ADVISED: Filming, photography, and other recording will take place at Walt Disney World during the event you will be attending. The Walt Disney Company will be taking photos and filming at Disney’s BoardWalk Inn, located at 2101 North Epcot Resorts Blvd, Orlando, FL 32830. By entering the premises, you irrevocably consent to and authorize The Walt Disney Company, its affiliates, successors, and assigns (collectively “Producer”), to photograph you, make sound recordings of you, and use such photographs and recordings throughout the world, for any purpose whatsoever in perpetuity, including, but not limited to, television broadcasts and home entertainment products, including, but not limited to, home video and DVD. All such photographs and sound recordings will be the sole property of Producer.